Do you follow Brooklyn Beckham on Instagram? There are many UK influencers on the platform, but he has to be one of the most interesting ones to follow. Zoe Sugg is also fun. From dazzling cityscapes to charming cafes, these influencers show UK the way anyone wants to see it. The country offers great travel destinations. But what about students? They can’t afford luxury, and we all know that the prices in this country can go crazy. Can we trust influencers when we want to have a good time without wasting money? Not really. If we are talking about student holiday destinations, we’ll have to be a bit humble. It’s all about the fun. Thankfully, that’s something this country doesn’t lack. You can travel cheap, and you’ll still have good times. We’ll list the best destinations for cheap student holidays in the UK. If you’re in England, and not living in London, what excuse could you find for not going to the capital? Of course, you won’t stay in a fancy hotel. The city offers a great choice of hostels at a very affordable price. That’s the good thing about big cities. You can easily find affordable accommodation somewhere away from the center and use public transport to get wherever you want. Public transport in London is a unique experience on its own. You’ll enjoy it. You’ll also enjoy the pubs, the night clubs, concerts, museums, and any kind of event you could think of. It’s an all-in-one destination that’s an endless source of “instagrammable” scenes. Nothing to see in Nottingham? I don’t think so. This might be an underrated holiday destination. That’s exactly why it’s so cool. It’s never crowded. You’ll enjoy taking shots of impressive architecture without anyone disturbing the photo. The parks are awesome for a morning run. After a long night of shots in the local bars, you’ll appreciate the detox. Speaking of detox, the “vegan” scene in the city is impressive. Even if you’re not into the vegan lifestyle, you should definitely get into such a place. They do crazy things with veggies. How about a bet that you’ll go for a detox smoothie? You’ve seen the Cardiff Castle in photos. It looks nice… but kind of boring. The good thing is that you won’t go to Cardiff just to see the castle. The city is full of other historical sites. You’ll see ruins of the Roman era. A stroll through the Victorian shopping arcades will take you back in time. But history is not the best thing about Cardiff. Let’s be honest: it’s the Doctor Who vibe that gets you there. Oh wait; that’s still history in a way. But it’s the kind of history that students enjoy exploring. Oxford sounds so… posh. Doesn’t it? It makes you think of the impressive Bodleian Library. You get the impression of students being very, very focused on studying. But you know what? These are just students. 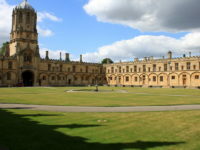 Oxford is one of the best student cities UK. You know what that means, right? Fun! In fact, you might enjoy the nightlife so much that you’ll think about extending your stay there. Who cares about assignments? You’ll delay them or you’ll order them at some cheap assignment writing service website. 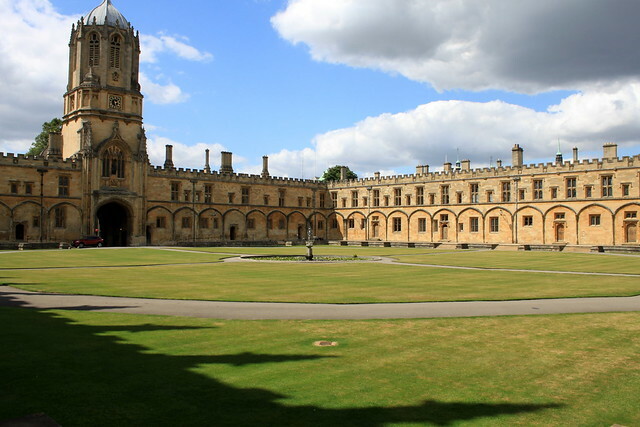 The important thing is to enjoy your stay at Oxford as much as possible. The city has the kind of “vibe” that makes you forget about everything else. When you go to London, you should plan a day trip to the Cotswolds. This is where you experience the idyllic rural England at its best. You can rent a bike or even a horse. You’ll soak up the nature, but you’ll also enjoy the markets. Of course; you won’t miss exploring the Lake District National Park. It adds the right dose of “picturesque” to your vacation. If you enjoy yoga, jogging, or simply being there in nature, you’ll love this scenery. Then, you can go back to the vibrant London to wrap up your vacation. Affordable UK Travel? That’s Possible! Being a student in the UK is not only about studying. It’s about living life to the fullest. You’re young. You still have that wild spirit in you. If you don’t break free now, when will it be? Money is always an issue, but you know what? You can travel on a budget. Hostels are cheap. Public transport is affordable. Get your backpack, take the essentials, and start exploring the country. Believe it or not is the best way to travel. Alyssa Johnson is a blogger and academic writing tutor. She always found student life impressive. Her goal is to convince students to live to the fullest while they still can. When they graduate, the job will spoil everything.